•	Serrapeptase helps with many conditions where the symptoms may be caused by dead tissue, scar tissue or inflammation. 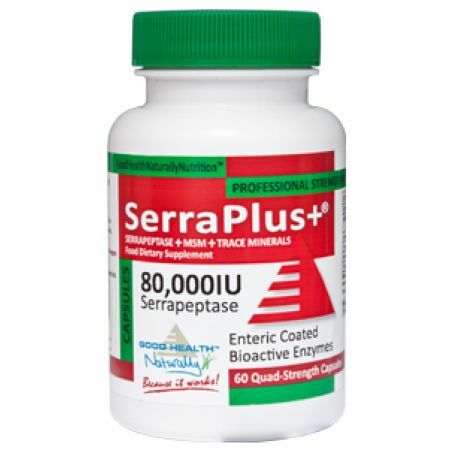 •	Serrapeptase eats away all the dead and inflamed tissue that is clogging up the system, and causing so many symptoms. It then leaves just healthy tissue to regenerate. •	Serrapeptase is a proteolytic enzyme (protein-digesting enzyme) isolated from the micro-organism, Serratia E15. This enzyme is naturally present in the silkworm intestine and is processed commercially today through fermentation. This immunologically active enzyme is completely bound to the alpha 2 macroglobulin in biological fluids. 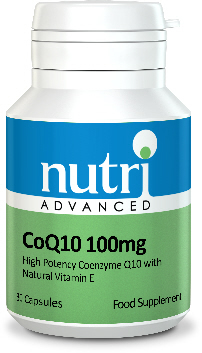 Histologic studies reveal powerful anti-inflammatory effects of this naturally occurring enzyme. 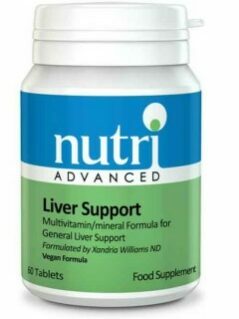 •	This fabulous formula provides quad strength 80,000iu enteric coated capsules for the best absorption. 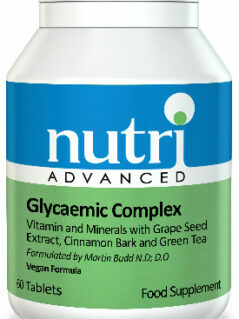 •	Trace Minerals deliver potent organic minerals missing from the food chain to ensure better activation of enzymes. •	MSM (methylsulfonymethane) is a naturally occurring sulfur compound and a derivative of DSMO, composed of 34% bio-available sulfur. It supports the integrity of healthy mucous membranes, and is necessary for the production of collagen and keratin, the primary proteins in hair, skin, and nails. MSM also plays an essential role in the formation of bones, joints, ligaments, and tendons. •	MSM is primarily used for its natural and remarkable anti-inflammatory properties, which are especially useful in alleviating pain, joint inflammation, muscle spasms, allergies, and gastrointestinal inflammation. 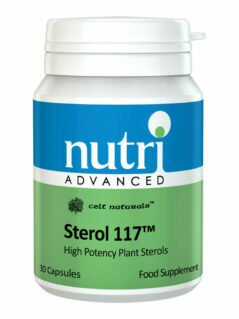 Its maintenance of healthy cell membranes helps prevent allergies and support normal lung function. •	Although it is prevalent in fruits and vegetables, MSM is destroyed by heat and processing, and the amount of MSM found in cells throughout the body decreases significantly as we age. Serrapeptase 80,000 iu, Trace Minerals 50 mg, MSM 350 mg.
Other Ingredients: Rice flour and HPMCP (enteric coating). 1st bottle: The more Serrapeptase that is taken the faster will be the effect. It is better to take the first bottle in 10 days (about 6 per day) to get rid of the symptoms. Take 2 capsules 3 times per day. Up to 30 capsules per day in acute need. Directions: Take on an empty stomach at least 30 minutes before food. It can be safely used with Children and Animals. A recommended dose of 1-2 capsules per day for children. If they can not swallow the capsules, it can be broken open and mixed with honey. Although many problems are resolved in as little as 1-2 weeks, it is recommended that you take Serrapeptase for 3-4 months and then stop to re-evaluate. A maintenance dose of 1-2 capsules per day may be advisable.